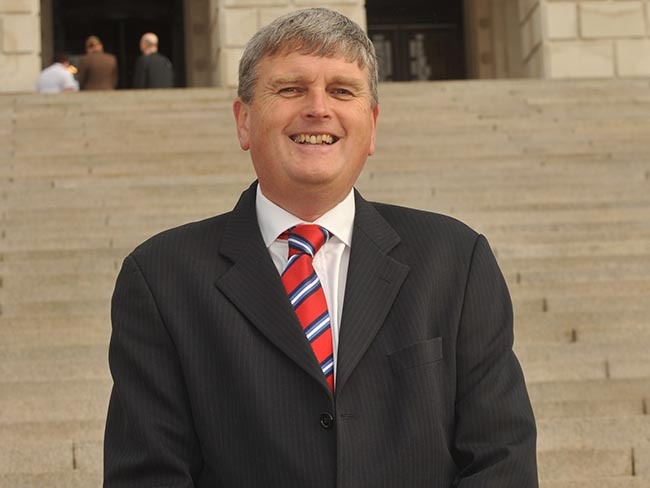 Prominent DUP MLA and former Executive Minister Jim Wells has lodged an official complaint to the BBC in relation to a recent Talkback interview with Jamie Bryson and Sinn Fein member Dominica McGowan. Mr Wells has alleged bias against Mr Bryson and favourable treatment offered to Sinn Fein member Dominica McGowan. Mr Wells said in his complaint “I was extremely unhappy with the manner in which William Crawley handled this interview. He showed a very clear bias against Mr Bryson and favoured Ms McGowan throughout the discussion. ” It is the view of many Unionists that the anti flag protest movement has been created and manipulated by Sinn Fein. This view seems to be confirmed by the fact that Ms McGowan signed the nomination papers for a Sinn Fein candidate in the last Assembly election and has made supportive comments about the 1981 hunger strikers on her social media sites. The discussion was around the removal of lawful UVF 1912 commemorative flags from the Cantrell Close area of south/east Belfast. Ms McGowan is a representative of a recently contrived anti-flag/unionist culture movement and has presented the organisation as ‘politically neutral’. During the BBC Talk Back interview to which Mr Wells refers, it was exposed that Ms McGowan is a Sinn Fein member who has consistently posted pro Sinn Fein and IRA propaganda on her personal social media accounts. Unionist Voice understands Mr Wells complaint is currently with the Regional Controller of the BBC. 143 Responses to "EXCLUSIVE: Jim Wells complains to BBC over Talk Back interview with Jamie Bryson and Dominica McGowan"
I am really loving the theme/design of your website. Do you ever run into any web browser compatibility problems? A few of my blog audience have complained about my website not operating correctly in Explorer but looks great in Chrome. Do you have any suggestions to help fix this issue? Hello There. I found your weblog the usage of msn. This is an extremely smartly written article. I will be sure to bookmark it and return to learn extra of your helpful info. Thank you for the post. I will certainly return. Useful info. Lucky me I discovered your site by chance, and I’m shocked why this coincidence did not came about earlier! I bookmarked it. I’m really loving the theme/design of your website. Do you ever run into any internet browser compatibility problems? A couple of my blog audience have complained about my site not operating correctly in Explorer but looks great in Opera. Do you have any recommendations to help fix this issue? Superb blog! Do you have any recommendations for aspiring writers? I’m hoping to start my own website soon but I’m a little lost on everything. Would you recommend starting with a free platform like WordPress or go for a paid option? There are so many choices out there that I’m totally confused .. Any recommendations? Bless you! Thanks for a marvelous posting! I truly enjoyed reading it, you can be a great author.I will always bookmark your blog and will come back later on. I want to encourage continue your great posts, have a nice holiday weekend! I’d must check with you here. Which isn’t something I usually do! I enjoy studying a submit that may make folks think. Also, thanks for allowing me to remark! Thanks – Enjoyed this post, how can I make is so that I get an email sent to me every time you make a fresh article?